With the spring semester going so fast, summer plans are in the back of our minds. Want to get a head start on summer preparation? Finding a storage company for all your college belongings is a great way to start. Below are some of the most commonly used services by Boston college students. BU alum Jason Kaplan is the cofounder for an app called ‘Cubbyhole’ that finds nearby homes with extra space to store boxes, objects, luggage, etc. Storage can last one day, one month or even one year. Different rate plans are available, starting at $15. The most popular usage of the service has been college students leaving for the summer or one-day travelers needing a place to store luggage before a flight. Cubbyhole asks users to login with Facebook and then after determining his or her location, finds storage options nearby. Users can also be hosts, offering space from a drawer size to an entire room. Hosts keep 70% of the fee, with the remaining 30% going to the Cubbyhole company. Students can save up to 15% and even get the first month free for using the service Cubesmart where users select a location, choose a cube size and then reserve a unit. Prices for students start at $79.90 per month. On Sparefoot, users can enter their location and get results for different storage services nearby displaying prices from lowest to highest. 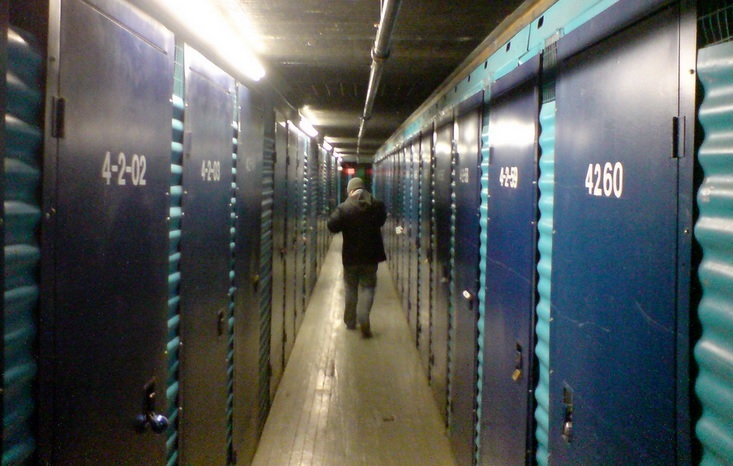 Storage space size varies from a 5’ x 5’ cubicle to 10’ x 30’. Fetch storage picks up the items to be stored, stores them and then returns them. Prices start at $3 for a small crate and then escalate to up to 70 cubic feet for $62 per month. Fetch also offers a cheaper rate to buy boxes and rent crates.